First bite: WHOA! That’s TANGY. Second bite: Hey! That’s a glazed Maple Pecan! It’s sweet, crunchy & it really balances out that tangy apple. Third bite: FOR THE LOVE OF CRUNCH! Fourth bite: I like you Cabbage Apple Slaw, really I do. 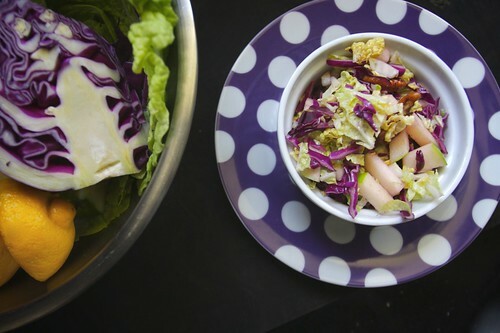 If you’re looking for a good kick in the pants, tangy, crunchy slaw. This one’s for you! Look. This is what makes up this slaw. Maple glazed pecans first. Maple, brown sugar, salt, pecans. MIX. 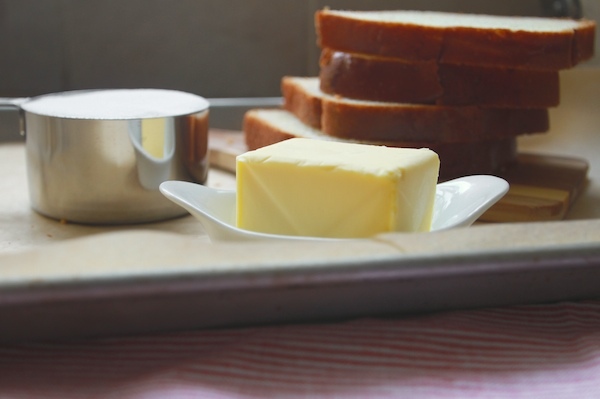 Add to a baking sheet & toast! 10-15 mins. Set aside. Dressing! Add it all together in a jar. 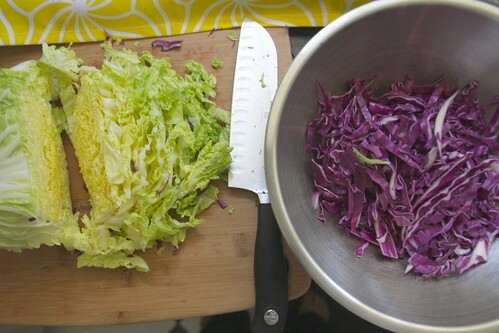 Chop up the cabbage. 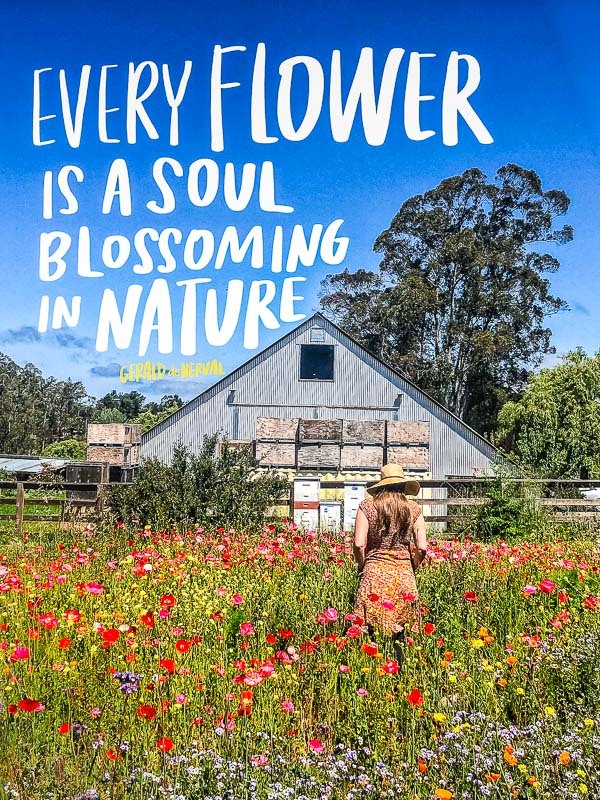 There’s a lot of it. 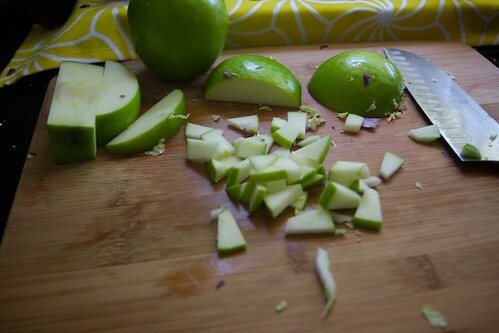 Chop up the apples and squeeze some lemon on top. Put the ingredients in a bowl. DRESS! Here’s what I ate for lunch today. 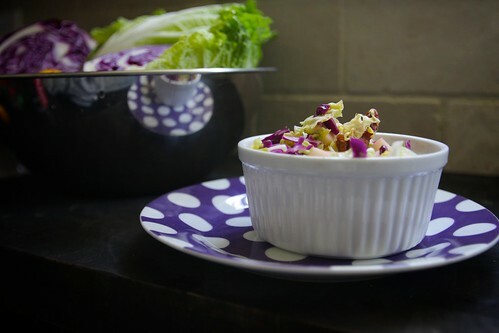 I’m so in love with this polka dot plate and the slaw that sits on top of it. The end. 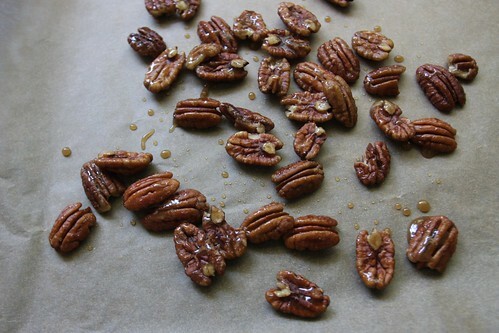 1 cup maple-glazed pecans (whole or coarsely chopped) See recipe below. 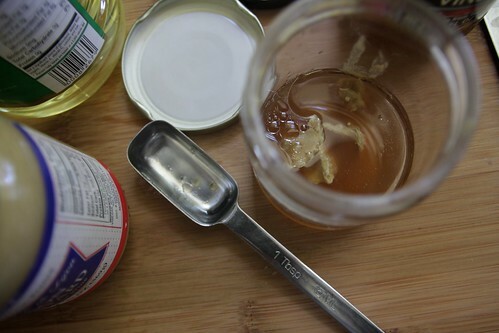 Combine mustard, vinegar, oil and maple syrup in small jar. Add salt & pepper and shake! 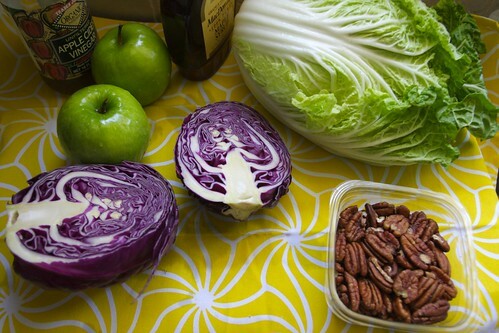 Place the chopped up cabbage, apples and pecans in a large bowl and toss with the vinaigrette. 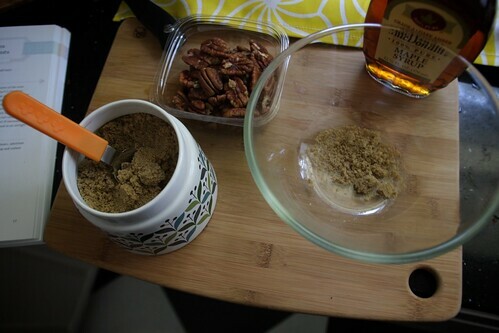 Preheat oven to 325 F. Combine the maple syrup, brown sugar, pecans and sprinkle with sea salt. Toss to coat well. 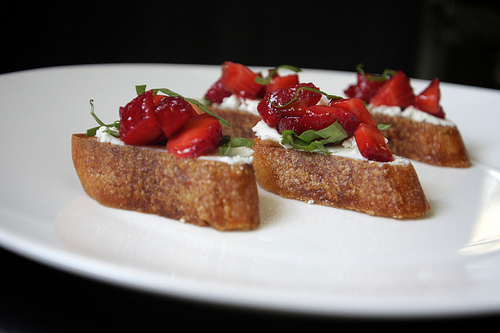 Toast for 10-15 minutes. Let cool completely on a baking sheet. Break apart if necessary. 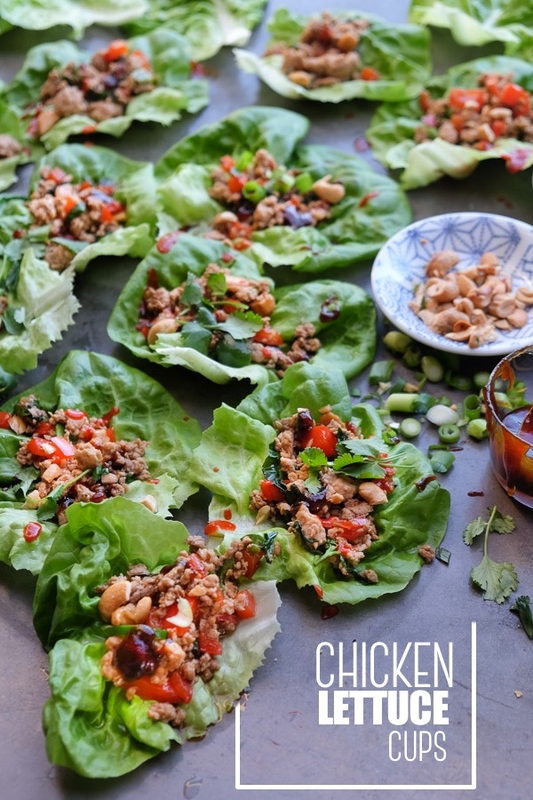 -If you want to make this in advance, add the pecans at the very end or they won’t be crunchy! -You can either chop up the pecans or leave them whole like I did. 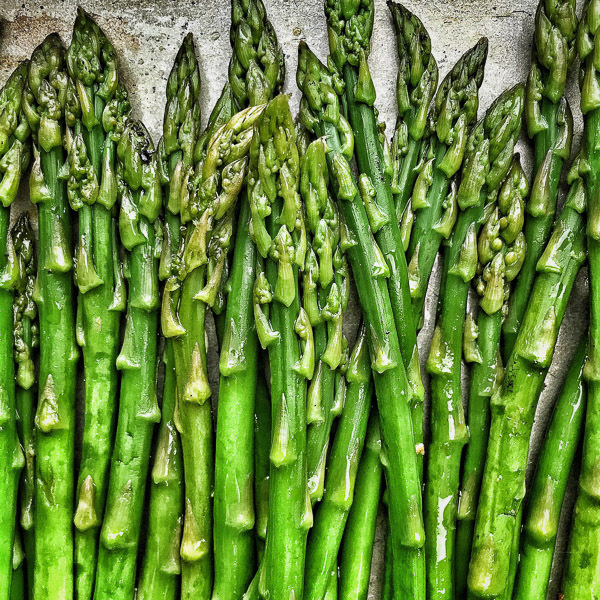 It might be easier to eat if you chop them up. Just saying. 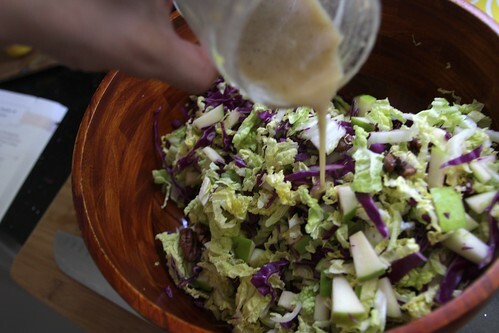 I just wanted you to know that this Slaw looks like it rocks. Or Rocks. Or ROCKS. I just thought you should know. But I guess you do know, since you made it. And. . . I’m listening to Homefries now. And I love it. Job well done times 2! 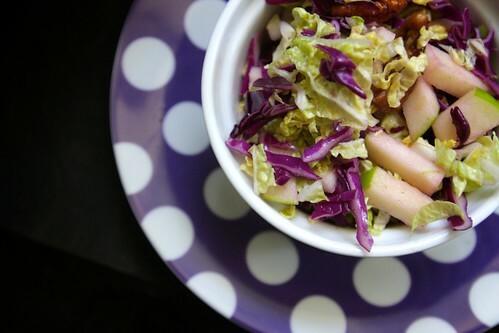 I love the contrasting colors of the purple and green cabbage. 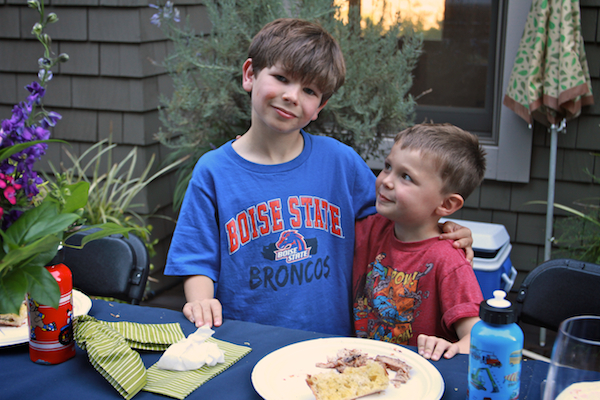 Your photos are wonderful as is your sweet polka dot plate. YUM! 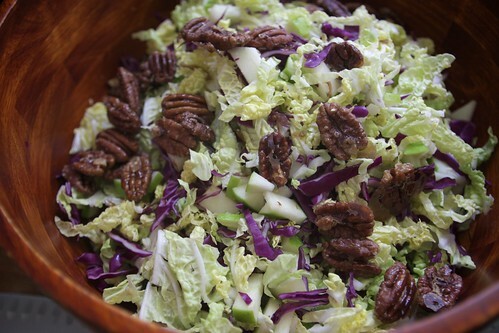 Slaw is one of my new favorite things and this looks so delicious! I love all the contrasting textures and the sweet with the sour! Mmm such a yummy salad! I’m trying this for a brunch I’m having tomorrow. Looks divine! Can’t wait! 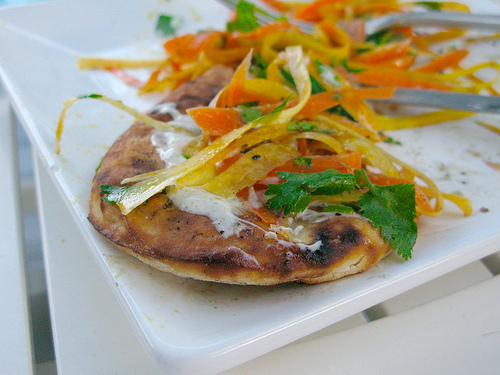 I made this recipe on Friday and it turned out great. It was so pretty and colorful, not to mention light and refreshing. It was really easy to make, too! 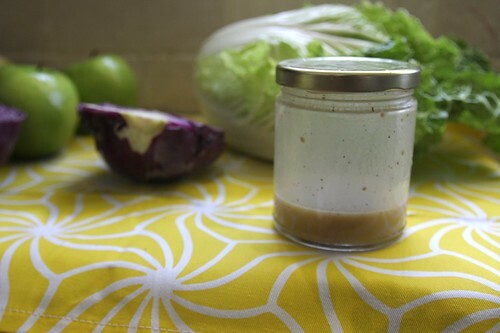 Now I’m thinking of other ways I can use that maple dijon dressing! Every ingredient in there makes me happy.. especially the pecans! I made this salad twice in the past week. It is so delicious! The first time my husband came home with lettuce-which was fine. But it was definitely better with the cabbage. Thanks for the great recipe! girl, i can’t stop making your salads. i’ve tried 4 of your recipes this week, and they have all been scrumptious. keep ’em coming for hot summer days. and thanks! !